Support Partners are champions for tourism in a supporting capacity. They include businesses that provide support services for tourism business such as banks, printing companies, web providers and designers or they may be a membership organisation acting on behalf of a number of tourism businesses. …Helen Cambell, Senior Recruiter with Able Personnel has 19 years’ experience recruiting for both Tourism and Travel sectors. Roles recruited for vary from Management to entry level positions. Helen welcomes utilising this vast experience to recruit staff for HB Tourism Members…. Run by a voluntary committee of local business people, the Ahuriri Business Association’s mission is to proactively promote Ahuriri for the benefit of local businesses. With a focus squarely on Ahuriri, strong alignments with other local organisations and a dedicated membership base, significant changes have been achieved in the past eight years. Based in Napier for the past 35 years, Brebner Print has a history of providing quality print services to local and national markets. We are the largest commercial printer in the Central North Island and can offer all print and related services on one site. Our equipment is state of the art allowing us to provide a top quality job at competitive national rates. Business Hawke’s Bay is the regional economic development agency for the Hawke’s Bay region of New Zealand. Our vision is to retain, grow and attract vibrant businesses and people talent, making Hawke’s Bay the best regional location in which to work, invest, live and grow. Hawke’s Bay’s community embraces varied businesses who have gained national and international recognition for providing innovative, competitive, sustainable solutions. These businesses have enjoyed business success by leveraging their entrepreneurial spirit and expertise, and capitalising on their location and the regional resources available to them. Business Hawke’s Bay is a passionate promoter of Hawke’s Bay businesses and the people talent that support those businesses. Central Hawke’s Bay is the southern gateway to the Hawke’s Bay region spanning from Pukehou in the North to Takapau in the South, and flanked by the Ruahine ranges in the West and the golden Pacific beaches in the East. Central Hawke’s Bay is a proud and prosperous district with strong communities, and connected citizens, who respect and celebrate nature. Eventfinda is an online cultural events calendar that focuses on what’s on around New Zealand. Events are organised into the categories ‘Concerts and Gig Guide’, ‘Festivals and Lifestyle’, ‘Performing Arts’ and ‘Sports and Outdoors’, ‘Exhibitions’ and ‘Workshops & Conferences’ to help you find what you’re looking for. Eventfinda supplies event information to some of New Zealand’s biggest and best media and lifestyle sites, including the NZ Herald, Yahoo!Xtra, MSN NZ, TimeOut magazine, AA Travel and many others. Hastings City Business Association Inc is a Non-Profit Incorporated Society formed in 1994 to represent the 480 plus businesses in the Hastings Central Business district. All businesses that fall within the boundary of Hastings, St Aubyn, Nelson and Southampton Streets automatically become members of the Association. Our mission is to make the Central Business District the preferred place to do business in Hawke’s Bay. As part of the largest ‘by business, for business’ organisation in the world, the focus of the Hawke’s Bay Chamber of Commerce is an integral part of the brand – ‘business vitality’. Connected to the International Chambers of Commerce and an Accredited Member of the NZ Chambers of Commerce, the Hawke’s Bay Chamber’s strongest advocates are those members who recognise the unique position of this organisation in the business community. Whether their businesses are long-established or new initiatives and operate locally, nationally or globally, members who work their association with the Chamber benefit their own organisations and the wider business community. Hawke’s Bay Today is the principal news media service within the Hawke’s Bay Region. 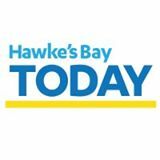 Our daily newspaper is read on average by 61,000 people every day*, the Hawke’s Bay Today website keeps the region informed with up to the minute news and reaches over 21,000¹ unique browsers per week. Through these sources and via our stable of free community titles: Napier Courier (weekly on Wednesday), Hastings Leader (weekly on Wednesday) Havelock North Village Press (fortnighly on Tuesday) and CHB Mail (weekly on Tuesday), we provide a comprehensive and wide range of news, firmly focussed on Hawke’s Bay as well as being a window to the wider world. Are you in need of a marketing specialist to help take the pressure off? At InHouse Marketing we believe the power of marketing should be more accessible. We help you with the thinking, planning and doing, and bring practical solutions to enhance your sales and marketing outcomes. Plus we’re well experienced in the tourism trade and are fun to work with. Talk to you soon – Megan, Jodi & Marise. Although Napier City Council is tasked with making Napier the best little city in New Zealand for its residents to live, work and play, they also have a vested interest in seeing the Tourism industry prosper in Hawke’s Bay. The council owns tourism businesses including The National Aquarium, MTG Hawke’s Bay Museum, Napier i-SITE , Par2 Minigolf, Kennedy Park Resort, Napier Municipal Theatre and Napier War Memorial Conference Centre. Napier City Business Inc. (NCBI) is an incorporated society established in 1998, managed by a voluntary executive board. Napier City Business Inc (NCBI) is the CBD Business Association representing all of the businesses that fall between Marine Parade to Clive Square and Station Street to Browning Street in Napier. Our mission is to create a vibrant inner city, through: events, communication and advocacy. The Napier Motel Association is a branch of the Motel Association of New Zealand (Inc) and has offered help and accommodation advise to visitors and travellers for more than 40 years. Together the members offer a full range of accommodation from Budget to Executive style suites with facilities to suit everyone. Our core business is maximising your marketing efforts and building a positive brand experience through any and all media that suits your business to ultimately achieve your goals. Whether you’re a start-up or multi-national brand, our marketing experts, web strategists and design gurus are equipped to take on any creative challenge. APN NZ, TRN and GrabOne, are unifying the radio, digital, e-commerce and print brands under one overarching banner, NZME – New Zealand Media and Entertainment. NZME brands connect with 3.1 million kiwis. Whether reading, listening, watching or engaging with our brands, they can get the content they want, from us – where and when they want it. MediaWorks has a network of 10 unique radio formats on 190 frequencies throughout New Zealand, including some of the country’s best-loved radio brands. Our award winning Radio business operates out of 23 markets and consists of nationwide brands MORE FM, RadioLIVE, The Sound, The Edge, The Breeze, The Rock and Magic, as well as regional stations Mai FM (10 markets including Auckland, Northland, the central North Island, Wellington, Canterbury), Times FM in Orewa, Radio Dunedin, Coromandel FM, and George FM. At Sport Hawke’s Bay we have a passionate, committed and talented team of professionals covering organised sport, recreation, health and education areas. We are all dedicated to achieving our regional vision of ‘Hawke’s Bay, New Zealand’s most active and successful sport and recreation region’. Tomahawk is a group of marketers, developers, designers, strategists and tourism fanatics who are passionate about empowering tourism businesses online. For over ten years Tomahawk has provided tourism strategy, websites, online booking and payment solutions, search engine optimisation (SEO), social media and Google campaigns to tourism operators of all size!